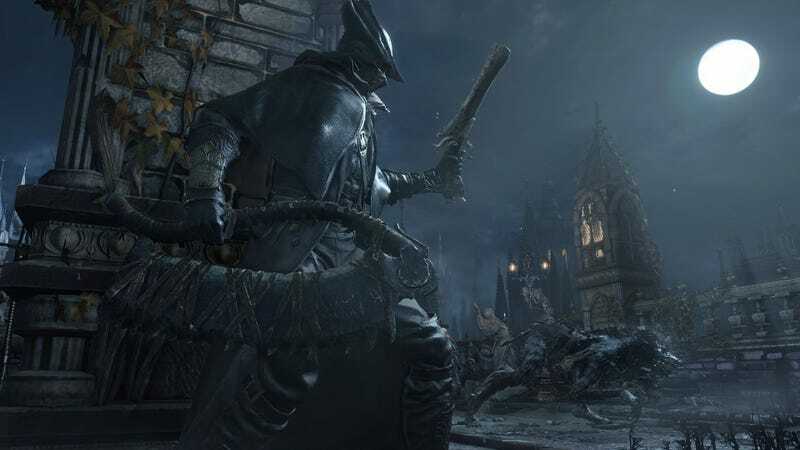 Bloodborne’s first (and only) expansion, The Old Hunters, arrives on Tuesday. In advance, From Software has deployed a patch that not only fixes a few things, it adds a bunch of content to the game that people are only beginning to discover. First and foremost, patch 1.07 adds a new covenant for players to align themselves with: The League. (You can switch covenants without consequence, so think of them as side quests.) This covenant is focused on co-op play, rewarding players for jumping into other people’s games and helping them out. You’ll also want to join The League for the DLC, but I can’t explain why yet; the embargo for The Older Hunters won’t be lifted until Monday. Stay tuned there. It’s easy enough to get the ball rolling with The League. Its leader, Valtr, is found in a few locations, but the easiest one is near the first lamp in the Forbidden Forest. Remember the windmill that’s over to the right, where the first shortcut is located? Find your way to that windmill and you’ll find Valtr. Unsurprisingly, the Bloodborne subreddit has already started tearing into the patch, finding other tweaks that range from surprising to long overdue. Based on FnFnc’s experimentation, it’s apparently now possible to parry with Augur of Ebrietas, an arcane weapon that sprouts tentacles from your hand. I’ll have a lot more to say about Bloodborne next week!